Coverall games are so much fun for my students. They can play them independently or with a partner and are so easy to prep. 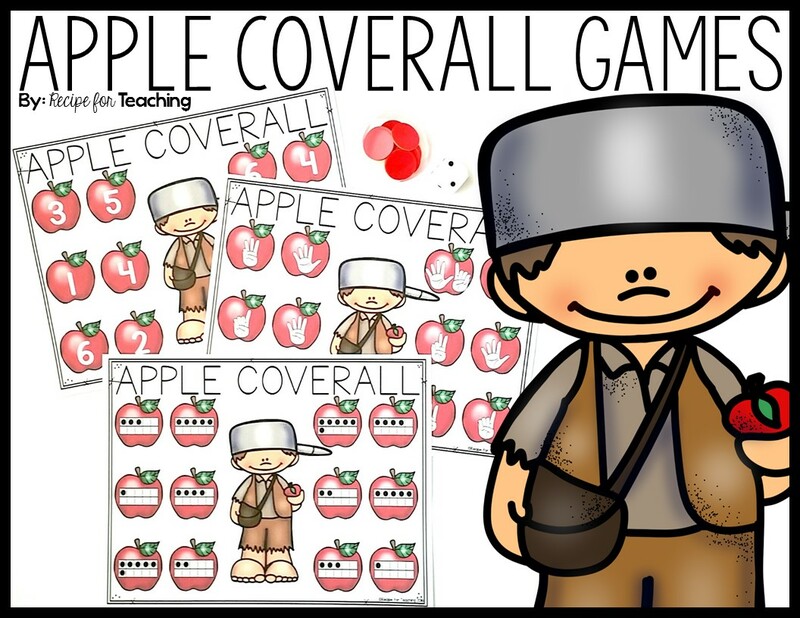 These Johnny Appleseed Themed Apple Coverall Games are a great way for your students to practice identifying numbers 1-6, as well as recognizing different representations (numerals, fingers, and ten framers) for numbers 1-6. To prepare this game, just print the game boards (included in the download below). I like to laminate the game boards or put them in a plastic page protector sleeve for durability. One dot cube and some manipulatives for covering the apples are needed to play the game. Red/yellow counters work really well to cover the apples, but you could also use cubes, buttons, pom poms, etc. to cover the apples. To play this game students roll the dot cube. After rolling they cover the number on their game board that matches what they rolled. Students continue rolling until they have covered all of the apples on the game board. This game is a great addition to a math station in your classroom. It is also perfect to use when working with a small group of students in a small math group. Included in your free download are three versions of the coverall game. The versions included are: numeral representation, ten frame representation, and counting fingers representation. This is a great way to differentiate the game for your students. It is also important for students to see numbers in different ways because this helps build number sense skills. Are you ready for some Johnny Appleseed themed Apple Coverall game fun?! Just click the image below to grab your FREE game boards! Looking for more apple themed resources? 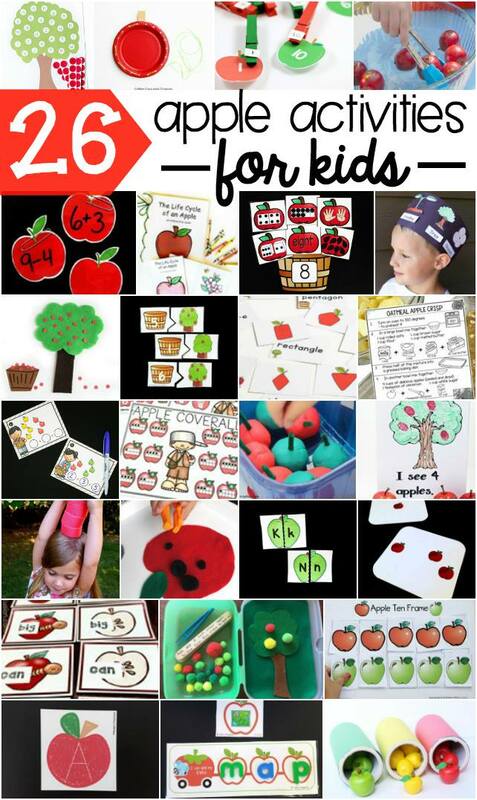 Check out these apple themed ideas from some fantastic bloggers!